Anita is a UX passionate software developer. 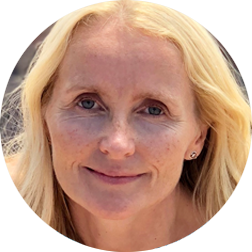 She has more than 20 years of experience with creating complex business critical applications, mainly for Equinor ASA, a huge Norwegian energy company. Anita has experience from all parts of the software design process, lately focusing more and more on software architecture and hands on coding. She enjoys spending her workdays exploiting her insight of the users and their domain when doing Domain Driven Design. Having a usability background, I see a lot of similarities between UX methods focusing on the user´s mental model and Domain Driven Design. In this talk I will share my experiences from a 3 year project where we successfully used DDD to break up a big giant monolith application into a modularized solution. I will use real examples to illustrate both the easy and the hard part of modeling our domain model. I will also share my reflections of whether our modeling challenges can partly be explained by focusing on the user's mental model, and how this can shed light on why defining the domain model sometimes is a struggle.